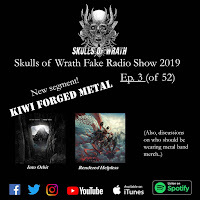 For The Skulls of Wrath Fake Radio show 2019 season, episode 2/52 we feature Ole Lamberti; Guitarist for German Melodic Death Metal / Doom Metal band, Nailed to Obscurity. 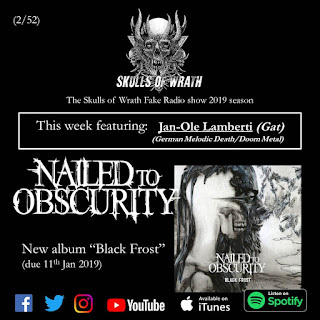 The bands newest album, "Black Frost" is due to be released on the 11th of January 2018, right at the start of a massive European tour that sees the band supporting Soilwork and Amorphis- alone side Ukrainians, Jinjer. 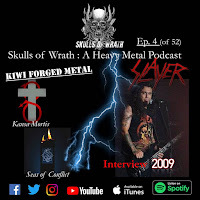 SKULLS OF WRATH PODCAST: First for 2019. 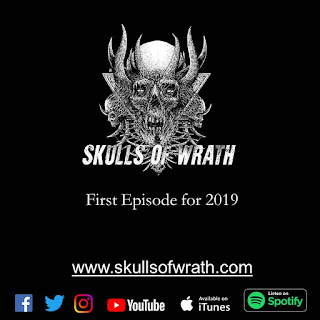 To get the ball rolling for Skulls of Wrath in 2019, I discuss how terrible I think New Years Resolutions are. Then, I give my take on something that hit the news in later 2018.